Andrew G. “Handy Andy” Palau id it all at Bristol High in the early 1930’s as a tri-sport All State selection. He helped lead the 1931 football team to the school’s only undefeated gridiron season and a share of the mythical state crown, captained the 1933 basketball team to state and New England championships and featured on the 1933 baseball team, one of the city’s finest ever. 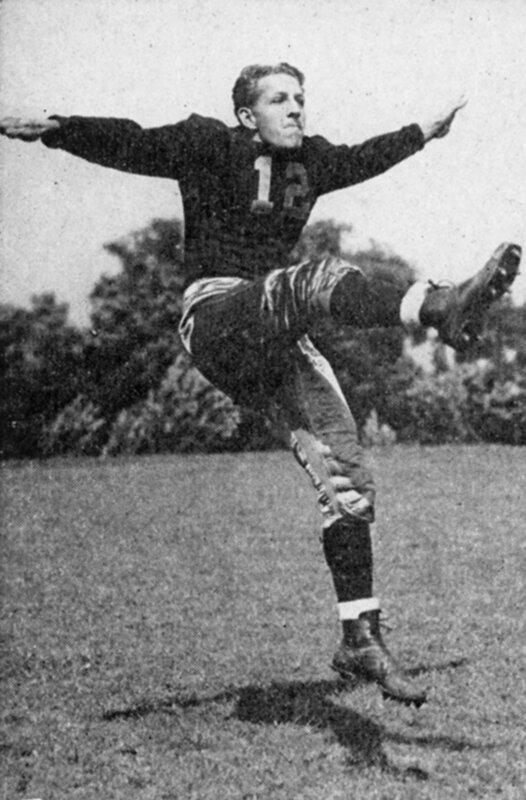 Later at Fordham University, Palau won All-American honors in football as quarterback of the team that featured the famous “Seven Blocks of Granite” and starred as a catcher in baseball, later signing with the New York Yankees in 1937. After serving in World War II, he became a multi-sports coach at Englewood High, N.J. and gave the late Green Bay Packers coach Vince Lombardi, a Fordham football teammate, his first coaching job. He was inducted into the Fordham Hall of Fame in 1976 for his achievements in Football and Baseball. Palau has been called Bristol’s greatest athlete ever.